Truth Fellowship Live | Bismarck ND Church | Why would you ever want to trust in Jesus? Why would you ever want to trust in Jesus? People have a propensity to believe many strange things. My uncle-in-law believed that professional wrestling (or “rasslin’” as he called it) was the real deal. I was a high school wrestler and did a bit of it college, so I knew the difference. But there was no convincing him. Then I had an aunt who believed that if you got your hair cut on the full moon, it would grow faster. Through the years I have tried to pay some attention to this one, but I have never seen it to be true. In fact, this past week I asked my hair stylist about it and she didn’t give it much credence either. Why do you believe that Jesus is the Son of God, the Messiah? Much of what we believe and hold to has little contact with reality. We believe in certain things because we want to. They may make us feel better or smarter or more secure. Ultimately, what we believe should impact the way we live our lives. Many years ago I heard a quote by Dawson Trotman (founder of the Navigators) in which he said, “If what you believe doesn’t affect the way you live then it doesn’t matter what you believe.” So, our belief system needs substance. So, the big question is why should anyone believe that Jesus was who He claimed to be? Specifically, why should I trust Jesus for my eternal destiny? Peter took a shot at this question in his second epistle. In this letter, Peter draws an arrow from one’s faith and virtue, through knowledge, self-control, perseverance, and brotherly kindness to love. Look at this trail more closely. Faith has to move through knowledge to ultimately produce love. Only then can we be assured that we will be neither useless nor unfruitful. The implication is that we will be fruitless and useless (in matters that are really important) if we are without faith. And faith needs to be based on knowledge; in our case, knowledge of who Christ is. Well, we might be able to accept that premise, but why involve faith in Jesus. Peter, who knows his time is short and that he would soon be executed for his faith, wants to assure those who do believe in Christ that their faith is not in vein and that Jesus truly is the Lord and Savior of those who trust in Him. He does this by way of a reminder of who we are and from where we have come. Peter was ready to be executed for his faith in Christ because he believed that Jesus was the Messiah. Peter then presents four reasons (reason implies knowledge) why he, and why you, can put your faith in Jesus. Inasmuch as many have taken in hand to set in order a narrative of those things which have been fulfilled among us, just as those who from the beginning were eyewitnesses and ministers of the word delivered them to us, it seemed good to me also, having had perfect understanding of all things from the very first, to write to you an orderly account… (Luke 1:1-3). “…it was necessary for the Christ to suffer and to rise from the dead the third day, and that repentance and remission of sins should be preached in His name to all nations, beginning at Jerusalem. And you are witnesses of these things. Behold, I send the Promise of My Father upon you; but tarry in the city of Jerusalem until you are endued with power from on high.” (Luke 24:46-49). Second, Peter was a living eyewitness. Peter, along with the other Disciples, later received the power Jesus promised. He lived it and he breathed. Luke recorded Jesus’ words when He reminded them that they were His witnesses. He also told them that they would receive power from on high. This actually happened to Peter and he was willing to be executed rather than to relent from his story. Third, Peter tells of others who witnessed the power of God relating to Jesus. Peter speaks of two telling events in the life of Christ. The first was at Jesus’ baptism. This was witnessed by many people…many people who were still alive when Peter wrote his final letter. At Jesus’ baptism, they heard the voice of God bestowing honor and glory on Christ saying, “This is My beloved Son, in whom I am well pleased” (see Luke 21:21-23). Peter also saw the power of God working through Christ at the transfiguration. In this case, Peter, James, and John were led by Jesus to a high mountain. Jesus was transfigured before them—“His face shone like the sun, and His clothes became as white as light. And behold, Moses and Elijah appeared to them, talking with Him…” (Matt 17:1-4). Jesus told them to remain silent regarding this vision until He had risen from the dead. How hard would this be to understand; after all, who had ever risen from the dead through their own power? Forth, Peter tells us that prophecy regarding Jesus confirms that Jesus is the Christ, the Son of God. The Old Testament records at least 48 prophecies (some say as many as 456) that were fulfilled during the first advent of Christ. They regarded His lineage, His birthplace, His miracles, and even that He would be born of a virgin. The probability of these prophecies all being fulfilled in a single man is truly mind-boggling. And that is just eight prophecies. Considering 48 fulfilled prophecies in one man the number becomes one in 10157. There really is no representation of the probability of all 48 Old Testament prophecies being fulfilled in one man. Any probability less than one in 1050 is impossible to think it could occur, i.e. the probability is zero. 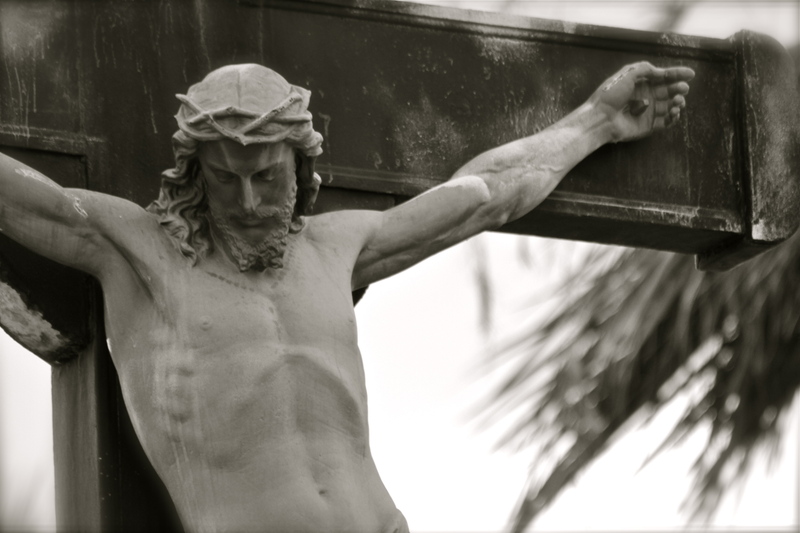 Why do I believe that Jesus is the Son of God? The historical evidence supports that Jesus was born, that He died, and that He rose from the dead. His tomb was found empty, not because some stole the body of Jesus, but because He rose from the dead. There were witnesses that walked with Jesus while He was alive. He was seen by Peter and the other disciples. They were the direct witnesses who had lived with Jesus. They had been taught by Him. Then they received the promised Holy Spirit—you shall receive power (Acts 1:8). But there was also the witness of the masses who saw Him after He rose from the grave. He was seen by over five hundred people at once (could they all be hallucinating?). Many of those who saw Him were alive after the historical works were written. Those works stood up because there were so many witnesses. Finally, there are the prophecies regarding Jesus. These prophecies can be fulfilled in no one else. From a mathematical perspective, the probability that Jesus was NOT the Messiah, after fulfilling 48 of the Old Testament prophecies, is zero. Why do you believe that Jesus is the Son of God, the Messiah? Is your belief in Christ going to change the way you live your life? Don’t you feel like going and telling someone the four reasons you trust in Jesus? No Replies to "Why would you ever want to trust in Jesus?"